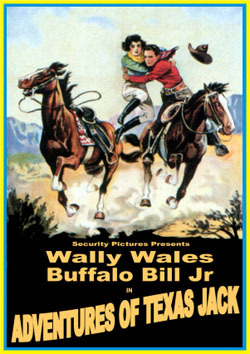 (1934, Security) Wally Wales, Al Mix, Buffalo Bill, Jr. This ultra rare B western short has Wally and Al being dry-gulched by the very outlaw they’re trailing. Made for pennies by Denver Dixon. ALSO: HENRY’S WEEKEND IN THE DESERT. This equally obscure and truly awful B western short features the original Roy Rodgers (Lonnie) who was considered by Republic for the same western series that ended up going to Len Slye (Roy) who then changed his name. They really don’t get any cheaper than this. Also made by Denver Dixon. Lots of other things like intermissions and trailers are also included. 16mm & 35mm.